Practices that are accepted onto the HBF Member Plus Dental Agreement are required to notify HBF of any new and/or departing Practitioners. To notify HBF, follow these steps. 2. Click ‘Staff’ on the left hand side of the page. 3. A list of all Practitioners that are currently registered at the practice will appear. If you manage multiple practices, you can filter the staff for each practice. 4. 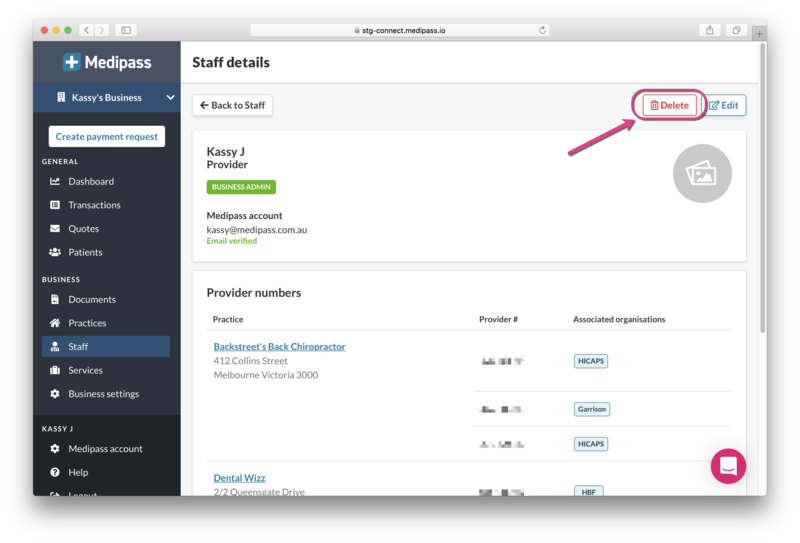 To add Practitioners, click the ‘Add a staff member’ button in the top right hand corner of the page. 5. 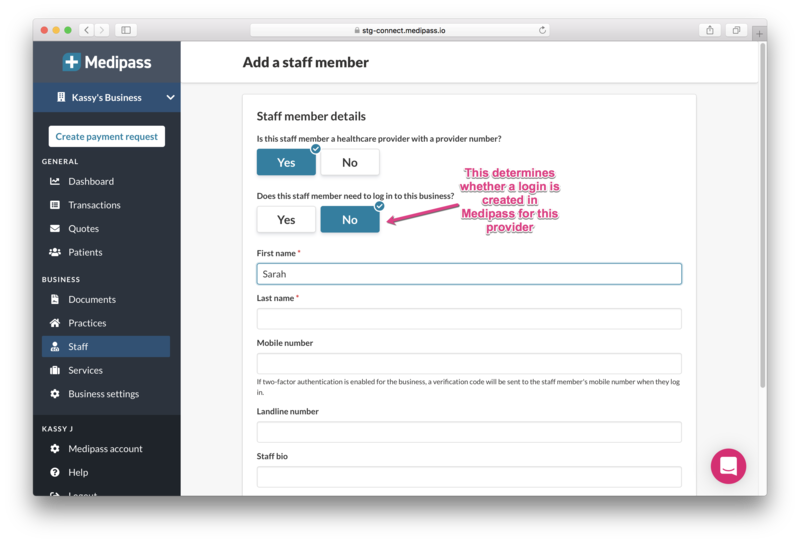 Answer the question ‘is this staff member a healthcare provider with a provider number?’ and then fill out the form that appears. 6. Ensure that you add the provider number for this staff member. 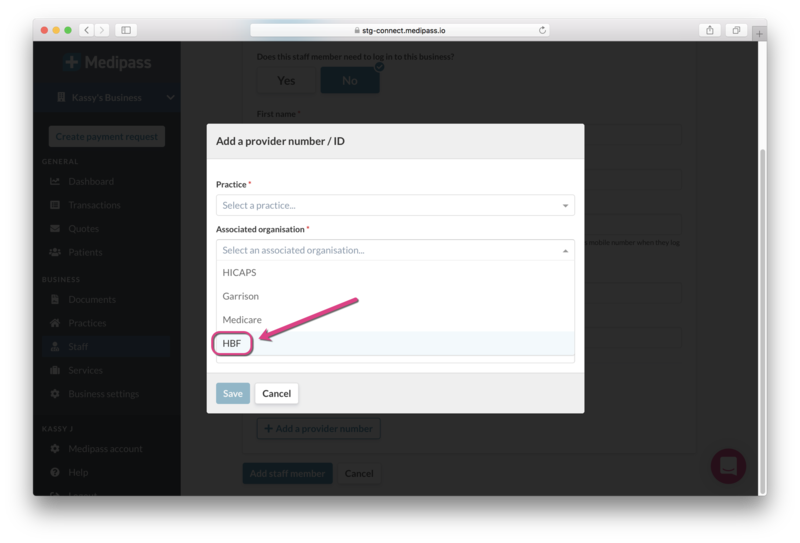 You can do this by clicking the ‘+ Add a provider number’ button. 7. Select the practice the Practitioner is joining. When asked to select a ‘Associated organisation’, you must select ‘HBF’ to enable the information to be sent to HBF in steps 10-13. Select the provider’s modality (specialisation) and ensure that the provider number is input correctly. Repeat this step for all new Practitioners and for each practice they are joining. 8. 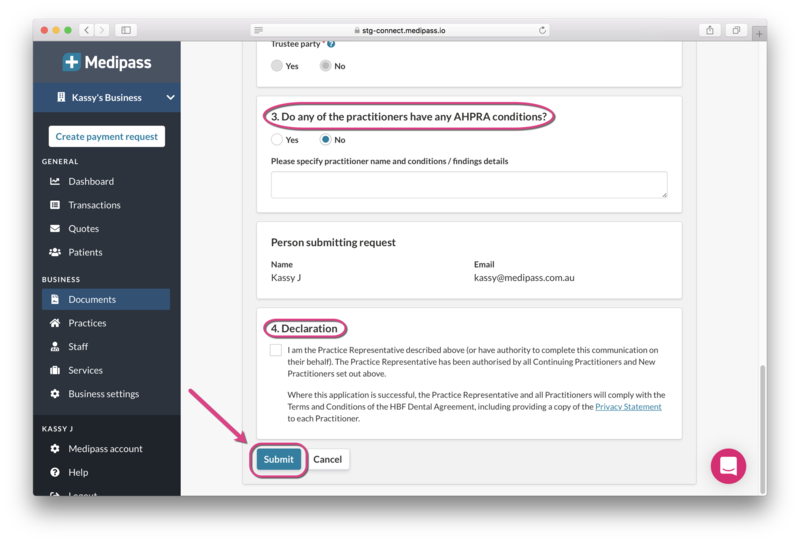 To remove Practitioners, click ‘Staff’ on the left hand side of the page. A list of all Practitioners that are currently registered at the business will appear. Click on the staff member that you wish to remove. 9. 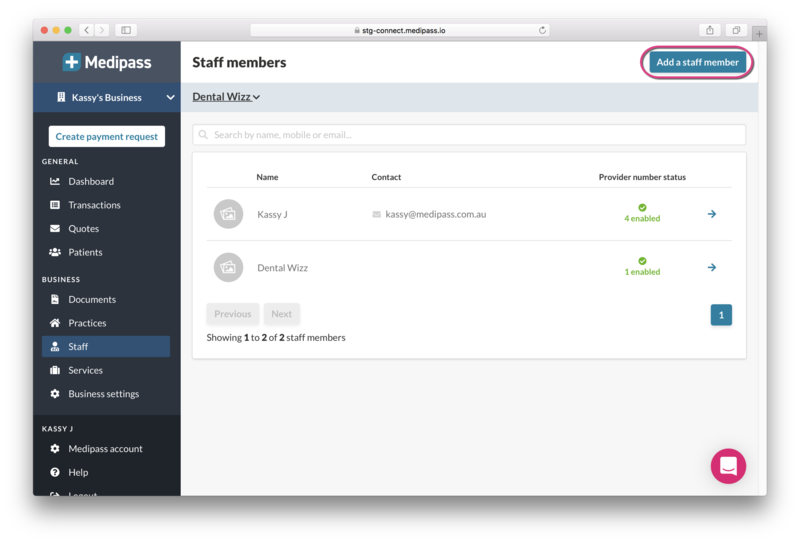 Click ‘Delete staff member’. 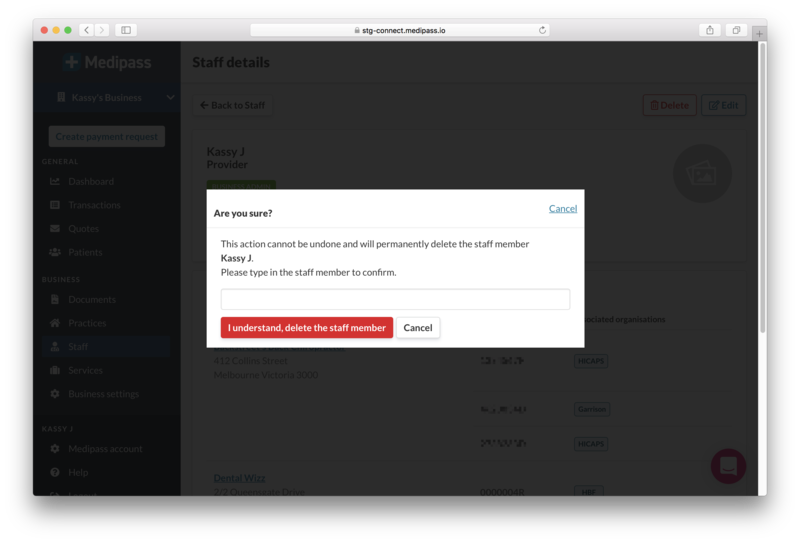 You will then be prompted to confirm the deletion by typing the full name of the staff member you wish to delete. Note: this is to be used in the case where the provider leaves the business completely. If the staff member is simply moving to another practice within the same business you will have to update the provider set accordingly. Important: none of the above information has been sent to HBF yet. To notify HBF, you must complete steps 10 to 13. 10. Click ‘Documents’ on the left hand side of the page. 11. 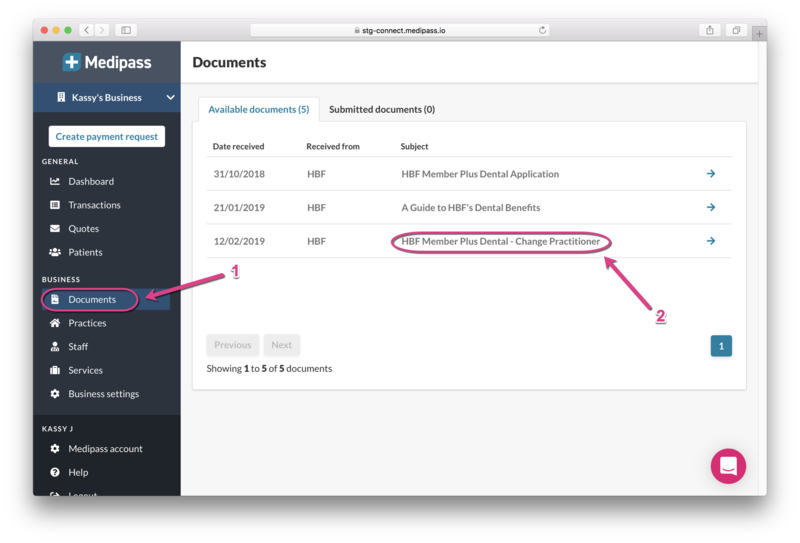 Under ‘Available documents’ select the ‘HBF Member Plus Dental - Change Practitioner’ option. 12. Scroll down to the ‘Form’ section of the page. Choose the practice you would like to submit updates for by clicking on your practice on the dropdown list. 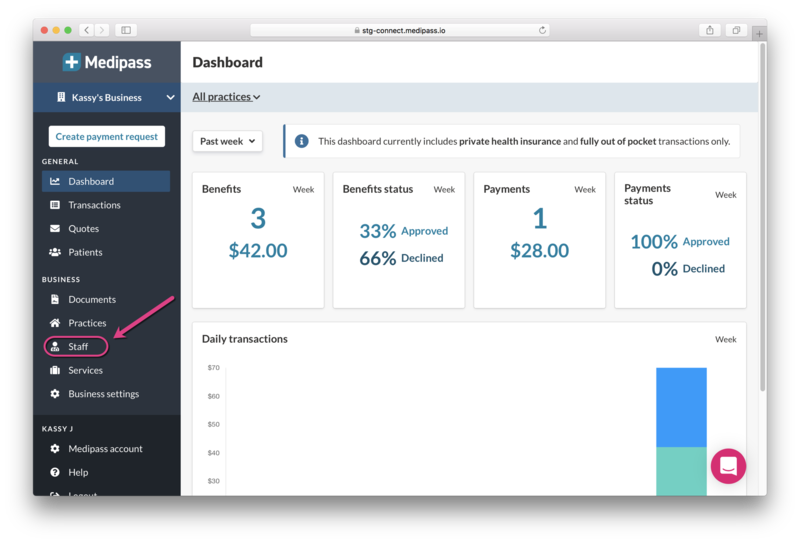 The form will show your practice details and list the providers that you have currently set-up in Medipass for this practice. Any changes made to Practitioners in steps 4 to 9 should show on the form. DO NOT click ‘Edit practice details’ or ‘Manage staff' as you will be directed away from the form and your changes will not be saved. If you need to update either of these and have not already done so, go back to step 2. 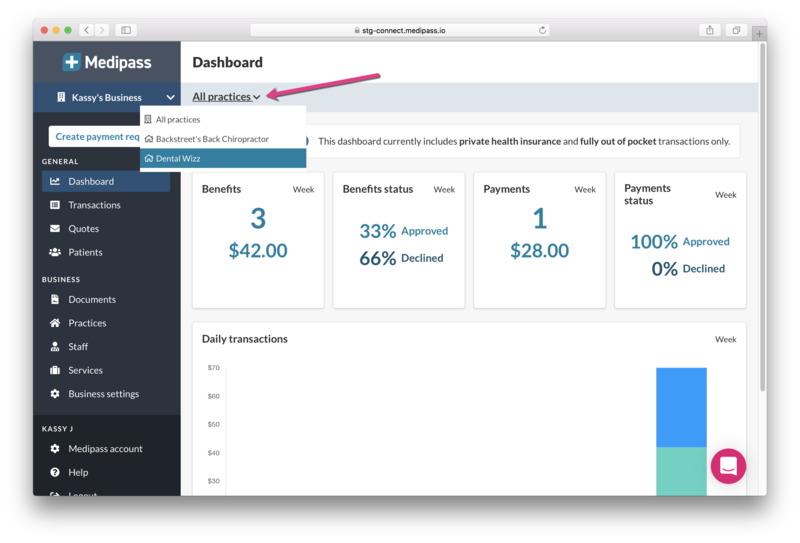 Complete all editable fields on the Form, review and complete the ‘Declaration’ and click the ‘Submit’ button.